Analysis of fossilised DNA from Norway has shown that polar bears evolved rapidly after their appearance during the late Pleistocene epoch. The study, which represents the oldest mitochondrial genome to be sequenced so far, was compared with modern brown and polar bear specimens. In 2004, however, a rare, fossilised canine tooth and jawbone, which is dated at around 120,000 years old, was uncovered in Norway’s Svalbard archipelago. Extraction of material from the sample enabled the complete sequencing of the fossil bear’s mitochondrial genome. Armed with this information, the team was able to construct mitochondrial sequences for other bears – taking samples of brown bears from the Admiralty, Baranof and Chichagof Islands in Alaska, which were believed to be the polar bears closest relations. Mitochondrial DNA, from the ‘chemical power plant’ found in most eukaryote (complex) cells, is easier to extract and often reveals useful characteristics for studies of evolution. From this, it was possible to assess where the ancient polar bears developed out of the brown bear lineage. “The fact that our ancient polar bear lies almost directly at the splitting point between this unique group of brown bears and polar bears, that is, close to their most recent common ancestor of the two species, was very intriguing. It provided an ideal opportunity to ultimately settle the time of polar bear origin,” said the University at Buffalo’s Dr. Charlotte Lindqvist. “Our results confirm that the polar bear is an evolutionarily young species that split off from brown bears some 150,000 years ago and evolved extremely rapidly during the late Pleistocene, perhaps adapting to the opening of new habitats and food sources in response to climate changes just before the last interglacial period,” she added. 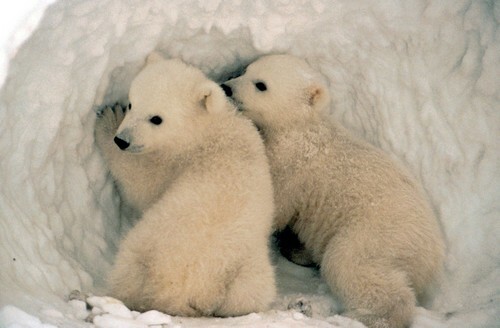 Regardless of the findings of the adaptability of early polar bears, the researchers were keen to stress that this does not necessarily mean that the bears will be able to cope with future climate shifts. 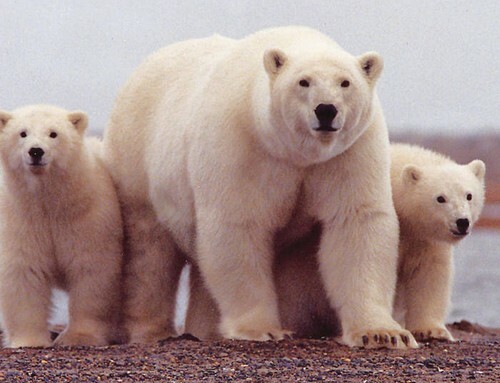 The team is thinking next of undertaking a nuclear genome sequencing of the fossil DNA to try and learn more about the evolution of polar bears. The research is being published in the current issue of the Proceedings of the National Academy of Sciences. I think the most important conclusion here is that, ultimately, it doesn't matter how encouraging the findings about adaptability may sound, it can only go so far. It's not that we are affecting the climate in ways it's never been affected before, it's that we're doing it at a much faster pace than is safe. Especially in regards to species like the polar bear which have adapted in a very dramatic way to very specific conditions. I'd say this kind of research only serves to stress the urgency of somehow putting the brakes on climate change.